8 Knots - Are you kidding? While my subject is tongue in cheek, I really want to hear what you folks think of full-displacement or semi-displacement trawlers and what it was like to adjust to slower speeds, assuming some of you came out of faster boats. We currently own a 45' LOA/14' beam diesel express cruiser that cruises at approx 20 knots. Most of my friends own faster boats, but I always tell them boating is about enjoying the journey as much as the destination. The one thing I know is, I like the feel of a planing boat. But, I am hoping this will change over time, because it has to. Otherwise we could not afford to become traveling live-aboards. I assume some or many of you started out like us and can share your experiences. I recently started showing my wife pics of trawlers (Kady, Selene, Nordhavn, etc), and she is excited about the prospect of living on a trawler, 5 or 6 months per year. Maybe full time one day. We plan to start out living aboard in the southeast, Bahamas, Cuba, and hopefully even further south. Until this weekend I did not explain to her how our speed would change with a trawler. So, after taking a nice ride at 20kts, I slowed our boat down to 8kts, and explained to her how this would be our new cruising speed. I also explained the financial necessity for this change. Sorry to run on, but I thought this would be a good first post to start my trawler education. I promise to repay this forum by offering my advice to future newbies with the knowledge I gain here. We previously had a Silverton 40 Aft Cabin that we cruised bewteen 15-17 knots. We knew we would be moving to a trawler after the children left home. Between them leaving and us getting the trawler we always ran hull down at the 8/9 knot range. We actually enjoyed it, not just for the reduced fuel burn, but also for the less frenetic pace, and enjoying the journey. The transition to a trawler was easy - especially with all of the comparative luxuries that came with it, more than offsetting any decreased speed! Looking over the side and observing the water passing by, six knots seems fast. If I was in a hurry, I'd travel by automobile or airplane. I had an 8 knot boat for 8 years and every time I took it out I lusted for more speed. It was a great little trawler but it was just too slow for both my wife and I. The boat we have now will cruise at 20 knots but we run it at 13-18 knots and love it! I'm not knocking the 8 knot community but it's knot for everyone! You're a man after my own heart! I loved owning my trawler Boomarang, but not the 6-7 knot cruise. It was just so limiting destination-wise for where and how I currently boat. That problem is now solved, but it has a price. I had a 33' express cruiser and was always running between 20-25 kts. Then I moved up to the boat I now have. It will still easily cruise at 17-22kts, and WOT is 30kts. But we find most of our cruising, if we're headed no place in particular, is done around 7kts which is just above idle speed. If we're headed out to a destination I can step it up to run the 17-22kts, but it comes at a price. It took me awhile to get used to running slow, but now I enjoy it. I still step it up about 20% of our cruising time to blow out the engines, but 80% is done just above idle, which is around 550 rpm's. Mark has the right idea or mindset. These are not destination vehicles unless you've got lots of time. And Dani-li I don't like the way a FD boat moves either. It kinda just pitches and rolls in the water. Not much different than things adrift. 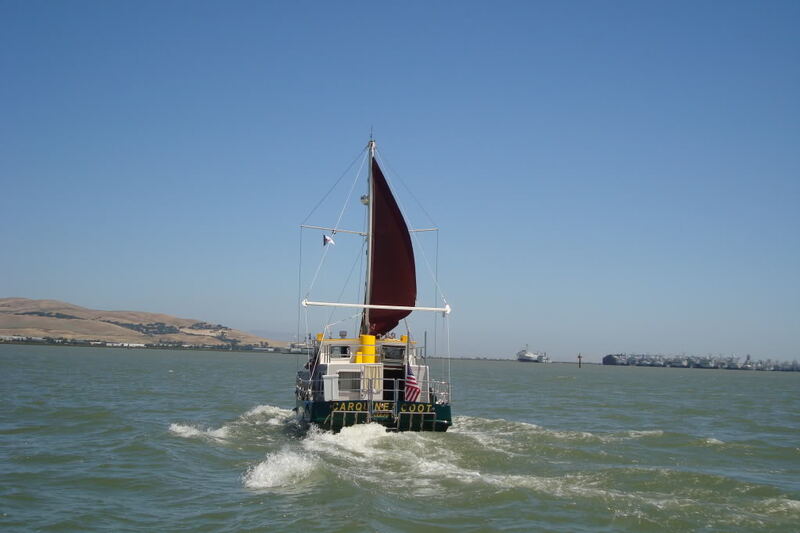 But at 9-12 knots (30'boat) it moves in a very different way. It's much more dynamic and almost not static at all. Inteead of heaving it's mass about in seemingly random motions the hull becomes a vehicle just a tiny bit like a rollacoaster. One entirely new thing happens. It banks like an airplane. Joy of joys. It costs 2 to 3 times as much fuel (or more) and occasionally to fairly often slaming or pounding on most faster hulls is a way of moving along. My 30' 8 ton FD boat is wonderful in head seas whereas a SD boat would have a much more hyper like motion. Same w light FD boats. The secret to SD boats that move gracefully is no straight longitudinal hull lines on the bottom aft (w some exceptions) and a L/B ratio of at least 4-1 but better at 5-1. Wide short boats are dogs at non planing speeds. Just a few comments and all opinions. Wow, this is exactly the feedback I was looking for. I know there is no right or wrong answer, because it is a personal and financial decision for all of us. Keep it coming. My friend has a Fountain, so I get my speed fix very often. I prefer creature comfort, sea worthy boats, but it is definitely an adrenaline rush going 80mph on the water. The Admiral has a great saying: In a go-fast boat you have to hurry to get where you're going; in our boat, we're already where we're going. 8 to 9 knots is a huge increase in speed for us! Actually, our previous 38' sailboat could sail at 7 plus knots for extended distances in the correct conditions. Our best 24 hour distance was 195 miles but... 6 knots was the norm under power. Our boat will hit just about 20 knots loaded and it will cruise at 16 all day but she is happiest at 8 to 10 knots. The fuel burn rate and noise at 8 knots make it an easy regular cruising speed. My last boat had the ability to cruise at 25+ knots but often anything above 10 knots often meant I was hammering into the waves. There were times I could barely walk at the end of a day of "cruising" due to the pounding the boat and occupants took. I decided that there was no need to get somewhere a hurry. That isn't what I wanted a boat for. I wanted a boat to enjoy myself on the water with family and friends. Now we cruise with comfort at 6 knots in relaxed mode on autopilot. We see more along the way and arrive at the destination (if there is one) feeling good. None of the destinations you mention really require or justify a Kady, Selene or Nordhavn. If you really like a planing boat and want more space, the Sea Ray aft cabin and sedan bridge models will give you both at a much more wallet friendly price and you can still cruise at 8 knots when you want to. In fact, the cost savings on purchasing a used Sea Ray aft cabin over one of those other brands will probably pay for your fuel the rest of your life no matter how fast you go. There are many no wake zones as you cruise up and down the east coast where you will be doing less than 8 knots anyway. Now if you really want more room in the engine room, that is another story. There are many posters here who have traded boats somewhat often but probably at some financial loss. If at all possible, try the lifestyle in your current boat at 8 knots and then decide if you really want/need a trawler style boat. ....We currently own a 45' LOA/14' beam diesel express cruiser that cruises at approx 20 knots. ....I recently started showing my wife pics of trawlers (Kady, Selene, Nordhavn, etc), and she is excited about the prospect of living on a trawler, 5 or 6 months per year. Maybe full time one day. We plan to start out living aboard in the southeast, Bahamas, Cuba, and hopefully even further south. What you just said makes allot of sense, and potential boat buyers should read it carefully! Most active cruisers will not recoup in fuel savings the cost differential between an equivelent age, size, etc... semi displacement boat, and a passagemaker style boat. The price differential between a Searay, Silverton, Meridian/bayliner on the SD side and a Nordhavn, Krogen, Seline on the FD side is all else equal (size, vintage) hundreds of thousands of dollars. You can buy a hell of a lot of fuel, and probably even retire years earlier if your mission profile makes the SD boat a viable candidate. 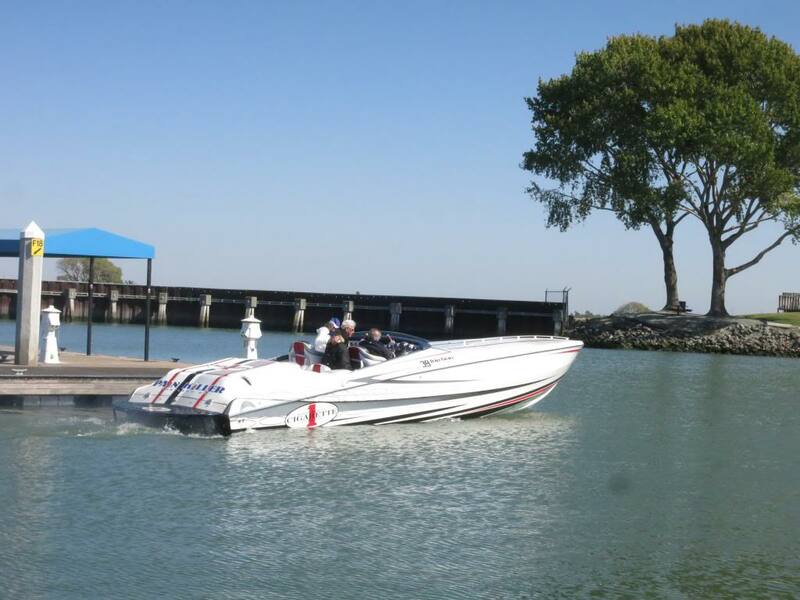 I will guarantee that there are things the FD passagemakers can do that the SD boats cannot. There are days that the SD boat will stay in port where the FD boat will venture forth. But... If one (like the OP) is thinking fuel savings are going to ever overcome the cost difference between these two styles of boats, well... That is just not going to happen. The only real exceptions to this are older KK 42's and Willards, and Other "trawler era" boats out there. Some of these can be had for very reasonable prices, so they offer single engine FD economy, and reasonable pricing. Many can be had for significantly less purchase price than a similar SD style boat, makeing them a cruisers dream. Are you going "there" or are you already "there"? If a destination , usually another marina , is the goal, speed can be a help. If your cruiser is heading for an other anchorage , there is no difference in the lifestyle aboard , underway or anchored, only a difference in the attention required. We cruise at 7K , and with multiple anchorages to chose from , the wind , weather , and anchorage conditions are the stopping criteria. Unless we are on a delivery sked. 60-70miles per day low effort days are pleasant and get us to a destination as quickly as required. On the ICW the miles are lubber miles , so 7K is 8 mph ,60 miles is under 8 hours . AS always , Is it the voyage or destination that is the goal?